A wonderful home in Rollingbrook where you must see inside! Complete makeover! You’ll be blown away as you walk into the large, open foyer facing the wrought iron staircase. To the left, you’ll find an exciting living room and dining room – currently decorated with trendy gold accents you’ll want to keep! To the right you’ll find a remodeled half bath and warm family room complimented with a gas fireplace with white-washed brick. Beautiful new dark hardwood floors cover most of the rooms and majority of the house boasts new paint. 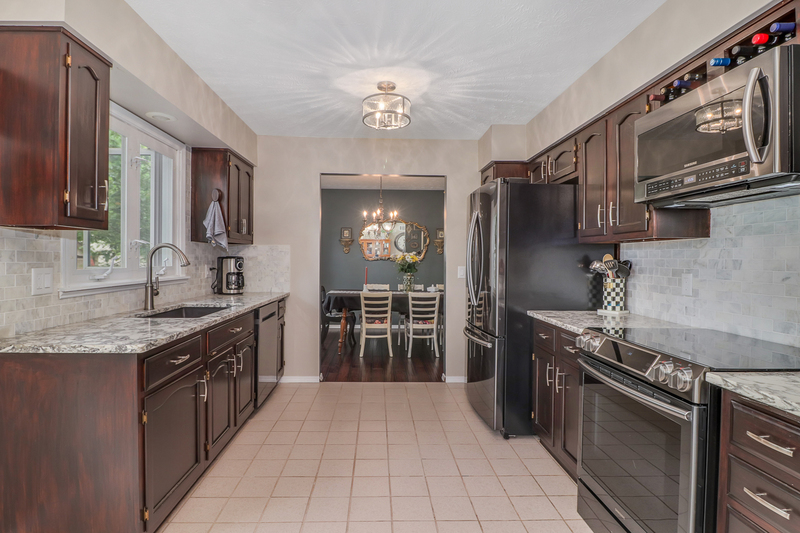 Step into the stunning kitchen to find a new black stainless appliance package, quartz countertops and matching glass tile backsplash, refurbished cabinets, and new light fixtures that tie the room together. Speaking of lights, the jaw dropping chandelier in the foyer entice you to go up to the second floor. There you’ll find two bedrooms, a full bath, and a master suite complete with attached full bath and walk-in closet. Finished basement features a possible 4th bedroom, full bath, office/storage and second family room.